"What they say" is always in the back of our minds as we carry out our normal work day. We understand the importance of customer service and how our reputation is effected by both a positive and negative experience. Over the years we have had countless letters, emails and personal phone calls that have not only brightened our day, but added a sense of ownership to our business. Every day our singular aim is for our clients to have the best possible experience. 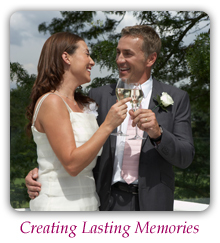 Our goal is to have every guest leave your event talking about what a wonderful time they had. That is why "word of mouth" is so important to us and has always been our number one source of advertising! Only a handful of testimonials have been added, but we do want to thank all of our prior and current clients for being so wonderul and for allowing us to be your hosts at so many of your most precious moments. 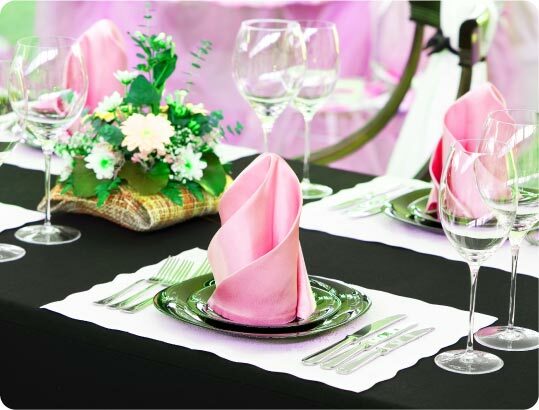 We invite you to experience the Crystal Catering "difference" today. I have used Crystal Catering for two events. The first event was a private party at a reception hall that I rented for about 120 clients. When we arrived the place looked great! The staff was very accommodating and the food received many praises from our guests. Having a great experience from my previous encounter, when my sister got married she asked me if I knew of any good caterers in the area and I referred Crystal Catering to her. She was more than happy with the selection of menu items to choose from, the pricing, and the courteous staff that was provided. She is pretty hard to please, so I figured I would write a review to thank them for doing a terrific job and for making me look good! I recently got back from my honeymoon and I just wanted to personally thank you and your awesome staff for making my wedding the best experience in my life! Thanks for being so accomodating, I know that I was being a real pain before the food came out but I was super nervous and wanted everything to be perfect. It was! I can't thank you and your staff enough. Even my mother was extremely pleased with everything and I think she was more nervous than me! Anyway, I think that everyone had the time of our life's. Thanks for leaving a couple of the guys around to help clean up the mess afterwards even though it wasn't yours. I will definitely spread the word. Tell the DJ he rocked too!